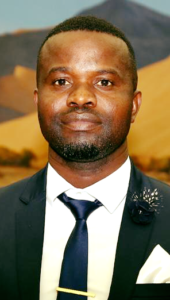 Reinhold Namupala, the Deputy Director of Maintenance at State House committed suicde in the early hours of Monday at a well-known tourism resort outside Okahandja, where he and his colleagues were supposed to attend a workshop. 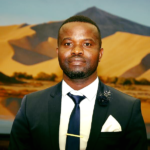 The Namibian Presidency officially confirmed Namupala’s death and at the same time The Namibian President extended his condolences to the deceased person’s immediate family. In the official statements the Presidency said Namupala was a dedicated and collegial employee that joined the Office of the President in July 2017 where he worked until his death earlier on Monday. According Deputy Commissioner Edwin Kanguatjivi, commander of the Police Public Relations Divison, Namupala was found dead in his car at the Midgard Country Estate. He said pistol was also found in the car. The deceased person did not leave a suicide note but Deputy Commissioner Kanguatjivi said no foul play is suspected at this stage. Namupala’s suicide follows fresh off the heels of President Hage Geingob’s announcement that persons involved in the illegal installation of a million dollar elevator at a guest house of the Office of the Prime Minister will possibly be prosecuted. The elevator was allegedly installed without any official authorization. Dr. Geingob said arrests and repayment of government funds might follow the an investigation into the matter. “These actions seek to tarnish the commitment of the Namibian President to practice austerity and effective governance,” a statehouse statement regarding the elevator installation reads. The installation of the elevator follows the parliamentary statement by Minister Martin Andjaba, in which he informed the national assembly that former Vice President Nickey Iyambo was temporarily hosted at the guest house.